Being prepared for phone interview questions you might face is extremely important for a number of reasons. The first is that it’s a likely step you will have to take before you move on to an in person interview. Knocking it out of the park with your phone interview is not only necessary to move on to the next stage, but it can also give you a leg up when get into the room with a hiring manager. Think of it as an opportunity to introduce yourself to a potential employer and get them excited about the idea of bringing you on board. How well you answer the phone interview questions can bring momentum into the later stages of the hiring process, or hinder it. The other reason why it’s important to be prepared for some common (or difficult) questions you might be asked is that there will be plenty of overlap with what’s covered over the phone and in person. This means that by preparing for one, you are also getting yourself ready for the other. It might seem tricky to make sure that you’re ready for whatever phone interview questions you might be asked, but fortunately it really isn’t. Part of it is knowing some of the common questions, and part of it is getting prepared mentally. Before we look at all of the possible options you should prepare for and how to do it, let’s take a moment to address the most common worry that many people have with the phone interview process. 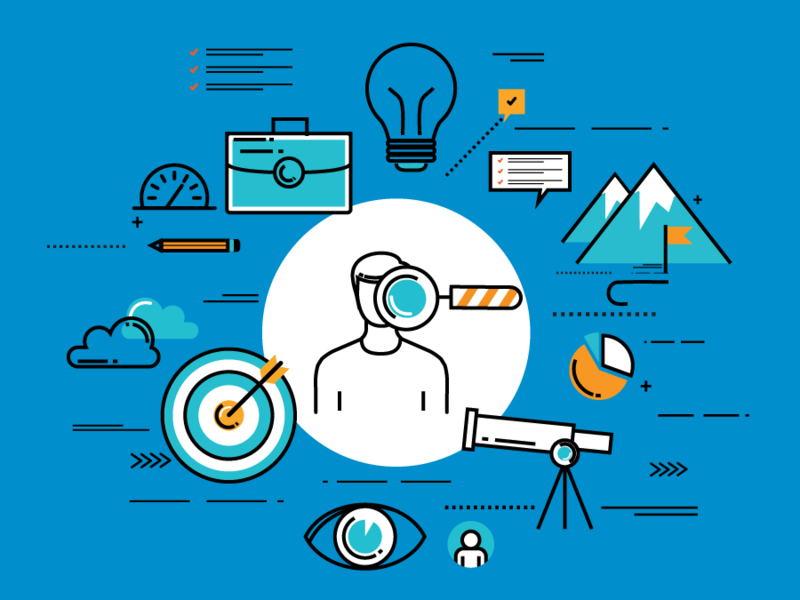 We have heard from thousands of job-seekers who have gone through this step of the hiring phase, and even more who are trying to get ready for it. Without a doubt the biggest concern is that having to answer phone interview questions is kind of a hybrid situation. When you’re sending emails or even calling a hiring manager to set up an interview, you have some time to prepare beforehand. With emails you can make adjustments and tweak your message until you’re 100% satisfied with it (we’ve all been there). Even if you are doing a quick introductory call or scheduling an interview there is far less at stake. You basically know what is going to be discussed and it will likely just be a quick call. In general, much lower stress. When you have an actual in person interview you know it’s go-time. You can dress accordingly, be engaging, and will likely rehearse your general points you want to get across. While this definitely can be stressful or make you nervous, it’s very clear that this is for all the marbles. Phone interview questions are their own beast because they lie somewhere in between. Because of this, many people actually feel that it can be MORE challenging than the in person interview it hopefully will lead to. There are many reasons for this. It can be disguised as a little informal, but you need to be prepared. You also don’t have time to hone the perfect response like you would over an email. But really, the biggest obstacles to overcome is that you lose out on a lot of the benefits an in person interview provides. Body language, great eye contact, and subtle cues on who’s turn it is to talk are all major factors that can add up. The quality of your answers. Sure, you’ll want to speak clearly and be have a friendly tone but that’s common sense and you likely know that at this point. If you take that and add it to some fantastic answers, you are going to be in great shape. With that being said, it’s finally time to dive into some of the common phone interview questions and how you can be ready for them. This is a very common question that many interviewers will ask to kick things off. It’s a great ice-breaker and is a good way to ease you into the phone interview in general. Even though this is a pretty open-ended and harmless question there are a few things you need to remember when answering it. Despite it being an ice-breaker question, there are many ways that you can screw it up. Asking you to talk about yourself can also provide some insight to the hiring manager on your personality, and honestly this is the biggest thing they are looking at when hearing your answer. This means be open and share a little bit, but don’t drone on and on or jump right into bragging about how awesome you are. Keep your answer to this concise, friendly, and to the point. There will be plenty of time for you to get into more details about yourself and how they relate to the position you’re after, don’t rush things here! This is another common phone interview question that you will likely face. With this one, it’s more about knowing what not to say as opposed to giving a “right” answer. So what should you avoid? It’s simple, bad mouthing your current/previous job or employer (even if it’s justified). Even though this might seem obvious it’s actually far easier to fall into this trap than you may realize. The reason for this is simple: if your previous job was the greatest thing since sliced bread you probably wouldn’t be looking for a new one right? Because of this should definitely spend a little time thinking about how you’re going to phrase your answer to this question. Saying you want more challenges or room for growth can be a great angle to take if you were simply bored or unfulfilled. If you were laid off were looking to relocate due to personal or family reasons that’s totally fine to share. Just remember that whatever you do, don’t bash your previous workplace. It’s the one way you can answer this phone interview question poorly and sabotage your chances. Can you describe the responsibilities you have in your current role? This is another typical phone interview question that seems pretty straightforward but still requires a little prep. Even though you obviously know what your job responsibilities are, you want to be able to describe them to the interviewer in a clear and concise way. Sometimes due to nerves and interviewer can fumble through this or forget to mention one of the key responsibilities that they have. We are all human and it can happen to anyone. Make a quick bullet point list of your core responsibilities that are most impactful to the company. Spend a few minutes to make sure that you can recite these comfortably and easily, even if nerves get the better of you. This will help you make quick work of this question so you can move on to the good stuff. What is the biggest challenge you’ve faced recently in your current position? How did you overcome it? This is a great question and a fantastic opportunity for you to leave a great impression. It’s also one you really want to get asked because it will allow you to demonstrate a little humility while being able to also show that you’re good at what you do. While the common phone interview questions this is one of our favorites just for this very reason. Because of this you should absolutely spend some time preparing to answer it. Make sure you use a challenge that you played a significant role in solving. It doesn’t need to be a solo project, just make sure you were involved enough that you could elaborate on the solution a little bit more if prompted. Share one of the most valuable skills you’ve learned in your career and how you would apply it to this position? This is another great question that gives you the opportunity to demonstrate your ability to learn and improve within your career path, but also show that you have given some thought to the position you hope to have. Far too often applicants go into a phone interview without thinking about what they can do for the company in a unique way. You never want to be in the mindset of doing the bare minimum that is found in your job description. A great hiring manager can smell this on you a mile away and won’t forget it. 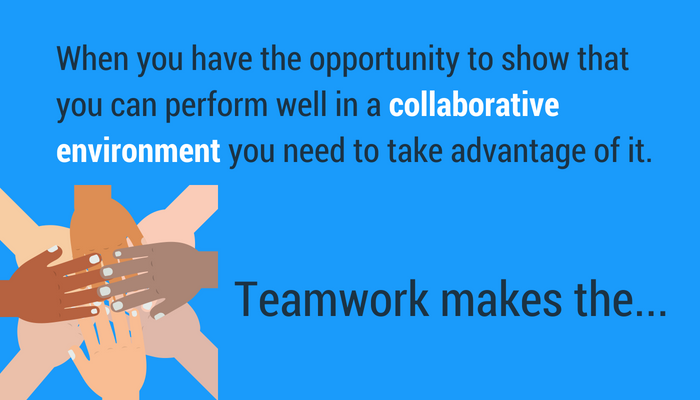 A great go to answer to this question is your ability to collaborate and work with others. Very few jobs these days exist in a vacuum, and you will likely need to work together in order to accomplish your goal. If a unique valuable skill doesn’t stand out that you can use to answer this question, that’s a great standby. With this there is definitely a right and wrong way to go about answering. The wrong way is to say that you found it on LinkedIn or a job board and reached out because you needed a job. This is uninspired and average at best, and you can do better. Hopefully you’ve spent some time learning about the company that’s offering the position. Ideally their mission and culture make sense to you as well and have you excited. If this is the case then you will have no problem answering this question the right way. Even if it’s just that your friend told you about them and you were eager to get involved when you look them up. It all works. This kind of ties in with the previous phone interview question, so if you’re prepared for that one then you should be for this as well. If you aren’t then you need to get on this ASAP. Not only will learning more about the company you’re trying to work for help you with the phone interview, but it’s something you should do regardless. You should want to know as much about them as possible going into this process so you can be confident that it’s going to be a great fit for everyone involved. Assuming you’re now comfortable with the last two questions we covered, you should be ready to knock this one out of the park. This is an extremely common phone interview question that you’ll likely be asked in person as well. Some things to remember when answering this question are to not make it all about the company itself. This might seem counterintuitive at first but here’s why it makes sense. Talking only about how much you love the company neglects your interest in the role itself. The reason why this matters is it’s a better indicator of potential performance by a future employee. There are plenty of candidates who are attracted to big fancy companies because of the prestige or compensation, but either don’t have what it takes to do great work or lack motivation. Sure, every company wants their employees to like who they work for. They also want their employees to be engaged and interested in what they’re working on each day, because that will help the company succeed. You want to make it clear that both apply to you. Why does this position specifically appeal to you? This is another typical question that you’ll get over the phone that you want to be ready for. Hopefully you’ve given your new role a good amount of thought and know what about it interests you. A great answer to this phone interview question is all about taking a little time beforehand to think this out so you can speak to it naturally when the time comes. If the main reason is money then you’ll want to think of some other reasons you can give that will play a little better. Again, reasons like new challenges and room to grow are great if you need to add a little seasoning to your answer. How can you contribute and help our company grow? This is a great opportunity for you to exhibit some knowledge about the company as well as the position you’re applying for. Even better, you can give the interviewer a look at some of the ideas you have and would like to implement. You don’t have to go wild with a super lengthy answer right away. List the main ways that you can contribute and how you would do it, and be prepared to go into more detail prompted. You might not need to, but as you can see the trick to mastering phone interview questions is to be ready no matter which direction the conversation goes. What are you long term career goals? Compared to some of the last questions we’ve gone over this one is relatively easy. You probably have a great idea of what your long-term goals are already, so speaking to this will likely come naturally. Bonus tip: Write a personal mission statement to help you find your true north with this phone interview question. If you’re someone who does get nervous during interviews and we highly recommend jotting down a note or two for this one so you can easily explain yourself without getting in your own way. A great answer to this question doesn’t have to be long but it does demonstrate that you’re motivated and have clear goals for yourself. These are things that any company would want in an employee. How do you like to get your work done? Answering this question will help the hiring manager get a better idea of how your brain works, which is good for judging if you’ll be a great fit for the role you’re applying for. While there isn’t really a right or wrong answer to this, be aware that it’s an opportunity to exhibit great organizational skills. Having a clear method for how you organize and tackle the work on your plate will give the interviewer confidence in you as an employee. One of the most common reasons that people don’t work out in a position as a lack of organization that negatively affects performance. Your answer to this phone interview question is a great opportunity to put any potential concerns to rest when it comes to your ability to get stuff done. Use it wisely. What sort of working environment do you function best in? This is more of a culture question than anything else. If you’re going to work at the startup where everyone is crammed into one room and there are a million things going on, saying you demand complete silence might be a bit of a red flag. If you want to cruise through this question without any issues, saying you’re adaptable will likely do the trick. You can reference the different kind of working environments that you’ve been a part of in the past if they want examples. What sort of things motivate you to be engaged and do great work? This question is becoming more and more common in phone interviews these days. Hiring managers want to know what makes you tick and how they can keep you engaged with the work that you’re doing. The only answer we don’t recommend is compensation. That’s obviously an important part of your job, but that isn’t what this question is about. Think about the goals and challenges that get you excited when it comes to your job and jot them down before you get on the phone. Having these ready to go will help separate you from the rest of the pack. The right answer to this question is all about honesty. You shouldn’t over think this or make your answer more complex than it needs to be. If you’re a pretty stress-free person who doesn’t get bothered by much then that’s your answer. If you do a quick meditation session during lunch, let them know. Everyone has their own method for what works best for them. No interviewer is going to judge you on your process, they just want to know you have one and are prepared to deal with stress when it arises. If you had to name your biggest strength, what would it be? Almost any list of phone interview questions contains this one right here. It’s very common and is something you definitely want to be asked. The great thing is that it’s easy to be prepared for as well. Spend a little time thinking about your biggest strength, and a couple others as well (in case they ask you to name three or something). You obviously want to go with something that relates to the job you’re interviewing for. Don’t say you’re a fantastic juggler if you’re applying for a position in risk management. Keep it relevant and don’t go overboard patting yourself on the back and you’ll be just fine. What about your biggest weakness? This is your chance to show that you’re aware you aren’t perfect, but also demonstrate that you’re trying to improve on whatever your weakness is. The only way to really screw this up is if your weakness is clearly going to be a hindrance for your job. If you’re trying to get a job in finance but you say your biggest weakness is working with numbers, you’re going to have a problem (with the interview and the position). Be honest about what you think it is and be prepared to talk about the steps that you’re taking to make it a strength. For example you could say you think your Microsoft Excel skills could use some improvement, so you’re taking a course at the local community college to get up to speed. Now all of a sudden you’re showing additional strengths such as being proactive and self-motivated! Share something interesting about yourself outside of work. Of all the phone interview questions you’ll get it can be hard to predict if this will be included or not. Sometimes it’ll be used as an ice-breaker early on, and sometimes you’ll get it at the end when things are wrapping up. We don’t recommend spending a ton of time prepping for this one because it should come pretty naturally and there are other more important questions you should focus on. Can you tell me your salary expectations? This question can be kind of daunting for some people but from what we’ve heard, many think it’s actually easier to do over the phone than in person. The reason why this question makes some people nervous is the general discomfort that sometimes come with salary discussions. However, try not to get too worked up over this. This isn’t the discussion about a potential raise and you don’t even need to see the interviewer’s face. Just say your number into the phone and go from there. You know what you expect to make and what your position is worth, so don’t run from it. Knowing what phone interview questions to ask whoever is doing the hiring will benefit you in a number of ways. So much so that we’re actually going to devote a mini section entirely to this below. Getting the opportunity to ask questions in a phone interview will typically come at the end of the discussion. 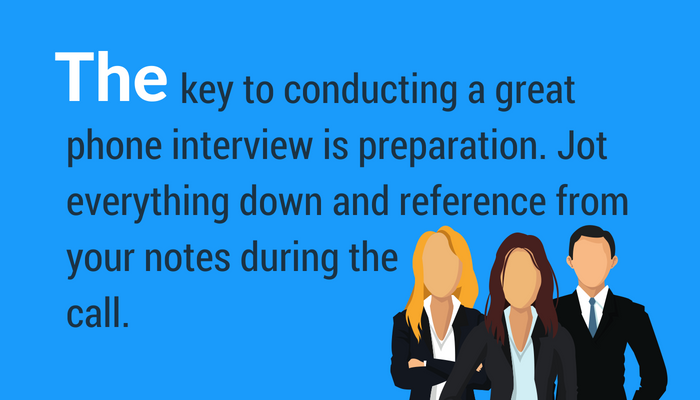 While this might seem like a polite way for the interviewer to wrap up the conversation, it’s actually a huge opportunity for you to make a great impression. Too often applicants decline this opportunity and are shooting themselves in the foot because of it. Spend some time before your call to come up with a few possible questions that you’d like to ask. Some of them might get answered naturally during the phone interview but you still should have a couple left over to ask at the end. The nature of the questions can be anything really, there’s no right or wrong answer. The most important thing is that you ask them. One that we really like is asking the interviewer why they enjoy working for the company you’re applying to. This will give you some valuable insight on how a current employee views their work situation. It also gets them involved and gives them an opportunity to talk a little bit about themselves. As humans we naturally enjoy doing this and it will likely leave the interviewer with a good feeling about you after all of the phone interview questions are done. As you might be able to guess after reading this post, the most important rule to follow when it comes to phone interview questions is to be prepared. You have the luxury in the situation to jot down notes and reference them as you go along. This is something you can’t get away with in person, so take full advantage of it when you have the chance. There is a lot of overlap with common phone interview questions and what you will hear when you talk to a hiring manager in person. Your phone interview can be a great rehearsal for this and a chance to make some of these answers second nature before the big day. We hope this post has helped prepare you for the most important phone interview questions you will likely face. Our free software will help you gain more career opportunities by helping you ace online screenings from employers. 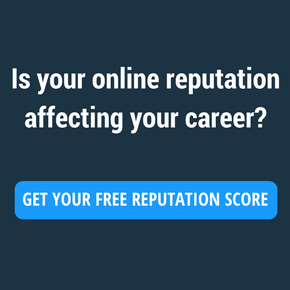 If you want to take things to the next level and drastically increase your chance of getting the job, we strongly recommend you sign up for our free software that will show you how to win more career opportunities with your personal brand. Not only are hiring managers preparing a number of phone interview questions for you, they’re also looking you up online (and what they find matters).